Event planning can be a challenge when your event budget is tight. However, it is still feasible to plan and execute successful and enjoyable events on a budget. This is why strong event budget management skills are integral to the planning process for any event. 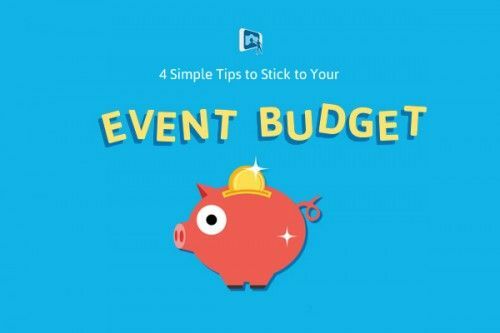 While this can be quite detailed, here are some event budget management tips anyone can use! Identifying your necessities is key to event budget management. Map out the important costs, such as the venue, catering, equipment, etc. Prioritizing your spending also puts into perspective the unnecessary elements your event can do without. Watch out for small costs. They add up! Once you have a clear idea of your event necessities, it’s easier to stay away from frivolous spending. While it may seem obvious, small and hidden costs can sneak up on you as they quickly add up. Make sure you carefully read through any signed contracts to identify any hidden fees, such as set up and break down costs, which can then be accounted into your event budget. There’s power in social media. When it comes to promoting your event, don’t underestimate the value of social media. Promoting events online costs little to no money as social media is free to use, and advertising is inexpensive compared to printing costs. Event hashtags are also great ways to create buzz around your event and further promote and brand it. First time creating an event hashtag? Read these tips on how to create a hashtag for an event. Set aside some allowance for emergency spending. Surprises do occur, regardless of detailed planning. This is why accounting for emergency spending in your event budget is always a good plan-of-action. If any surprise costs or last-minute issues pop up, you have a budget to fall back on without having to spend money you don’t have. With these simple tips in mind, planning events on a budget shouldn’t be a daunting task. While sacrifices are sometimes necessary, do consider entertainment that will provide the most value. Consider a photo booth rental if you’re planning a heavily branded event. With a photo booth rental, it’s easy to brand an event, generate buzz, and keep the event going long after it’s over. Take a look to see how versatile TapSnap’s photo booths are!